Popwristbands is becoming increasingly popular in silicone and rubber wristbands. After years of hard work, innovation and creativity, pop wristbands has become one of the most popular supplier of silicone wristbands in the US. 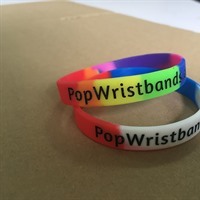 With an absolute focus on creating the market and demand for silicon bands, pop wristbands has come a long way already. With an innovative manufacturing unit and aids manufacturing of customized wristbands in a preferred style, material and color, the company not only has a huge demand but also great potential in the future looking at the immense popularity of silicon wristbands in today’s world. These wristbands are suitable for events, functions, ceremonies, parties, awareness campaigns, fundraising, brand recognition and advertising too. These are extremely durable and their longevity is completely unmatched. These silicon wristbands stay forever to keep reminding about your brand/event or cause. That’s what make them ideal for word spreading. So that’s what makes these silicon wristbands so popular. They look cool and funky, and at the same time, the collectors boast about the events they have attended or causes they’ve shared and worked for. We are an ultimate one stop provider of high quality, skin friendly, comfortable and durable wristbands & bracelets for promotional purposes and special occasions. From customized plastic, silicone to rubber, we specialize in designing wristbands with utmost perfection, personalized message and logo in an array of styles and hundreds of shades. Our collection of wristbands includes Debossed, Embossed, Ink-filled, Embossed print, Printed and Blank. To order call us at 877-778-5832 or email us – sales@popwristbands.com.